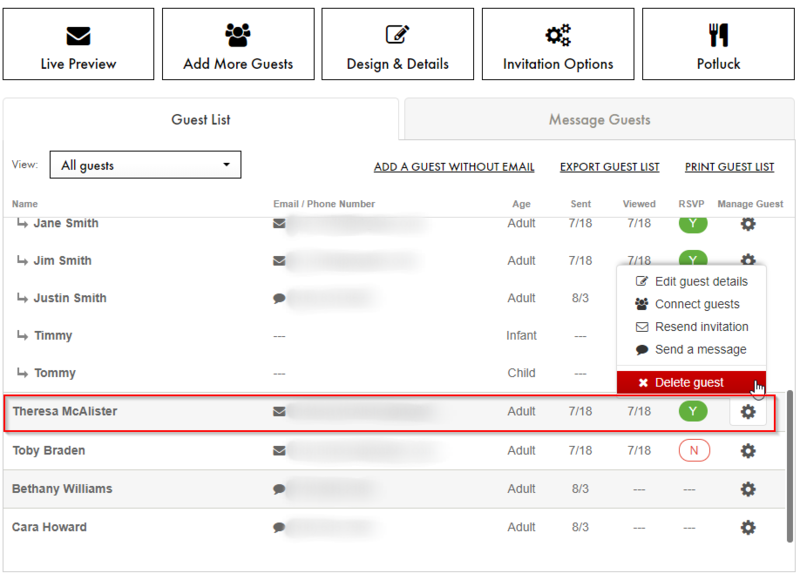 Yes, you can remove a guest from your guest list by heading to the Manage Invitation page. Open the Manage Guests menu for the appropriate guest and choose Delete guest. Once a guest is removed, the invitation they were sent will no longer be available to them. To remove a guest from your guest list when using the mobile app, first, tap on the Invites tab and select your invitation. Next, you are going to want to select the Manage Guests option. From there, tap on the appropriate guest and then you will see a Delete Guest option in the bottom righthand corner of the screen.